Why try the Breville BJE510XL? Some people think every power juicer is the same, but we have found that juicers are not created equal. If you dare to compare juicers, you will see (like we did!) that there is a significant difference between a cheap juicer and the best juicers on the market. If you are going to want your juicing experience to be fast and easy…you will want to invest in a higher-quality machine like the Breville BJE510XL Ikon Juice Extractor. Otherwise you will probably spend more time prepping produce, waiting for juice and cleaning up than actually drinking it! Breville juicers are known are known for quality, speed and ease of use. So before you just try to fit the cheapest juicer that fits your budget, you may want to think twice about the details that make this juicer one of our favorites! If you just buy the first juicer that you see based on price alone, you will probably be disappointed especially if you plan to use the juicer on a regular basis. We found out for you just how this Breville Juice Extractor measured up on each of these important factors. One of the best uses of technology in the Breville BJE510XL Ikon Juice Extractor, is the built-in electronic smart chip that increases power to the cutting disc under when there is a heavy loads of fruits and vegetables. This is a great way to prevent jamming and juice more effectively without straining the motor. Most juicers are not as powerful. Juicer power is best measured by watts and not RPMs. A motor rating of 700 watts or greater is recommended to best results. This juicer has a 900-watt motor to allow you to juice harder produce quicker without doing damage to the motor over time and to quickly turn your produce into juice! Stainless steel is reliable than the plastic. It is more versatile so you can juice anything from vegetables to wheat germs and citrus. Plastic juicers often get stained while stainless retains its finish. Stainless steel juicer is very hygienic. It looks great on your kitchen counter! Stainless steel may be more expensive than plastic, but because of these advantages, it is a great investment! 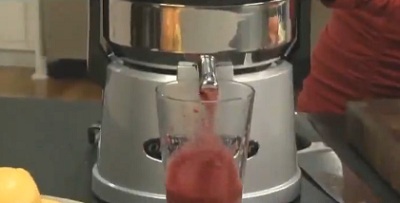 A high-quality juice extractor can get juice out of hard root produce like beets and carrots while many juicers cannot. This is especially helpful if you want to incorporate these hard-to juice items into your juices. While some motors or blades may not be suitable for everything that you want to make into juice, the dual speeds of this juice extractor allow you enough power to handle the tough produce, while also giving you the option of not over-processing soft foods such as berries. This juicer has 5 speeds to allow you to get the most juice out of each different type of fruit or vegetables. By not being limited to just high and low settings, you have less waste and more juice for your money. You can use the lower speed setting for soft fruits and leafy green vegetables like tomatoes, grapes or spinach, and the higher speed setting for harder, denser fruits such as apples, carrots or beets. 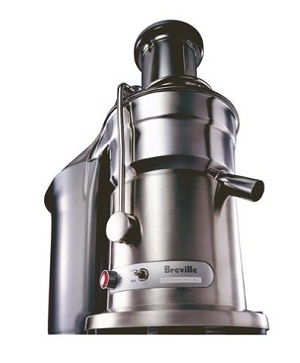 Breville BJE510XL Speeds ranging from 6500 rpm to 12500 rpm for maximum extraction of various types of produce. The prep time is fast because it has a strong motor. In fact, the motor is also so strong that there isn’t even any need to peel anything! Juicing time is fast too. We can extract 8 ounces worth of juice in only 5 seconds! That makes it easier to make juice without slowing down even on your busiest days! The large 3-inch-wide feed chute fits whole pieces of produce for faster juicing. You do not need to peel cut or slice anything ahead of time. Just put the fruits and vegetables into the extractor and get great juice! It is also perfectly positioned directly over the center of the cutting disc for better balance and consistency every time. The backlit control panel makes it easier to read even early in the morning. It comes with a handy heavy-duty cleaning brush to make clean up fast and easy. You will have your parts from the counter to the dishwasher in no time. There is also a great bonus with this juicer—a froth separator! Not everyone wants to have the forth residue at the top of the juice that are produced by various recipes. 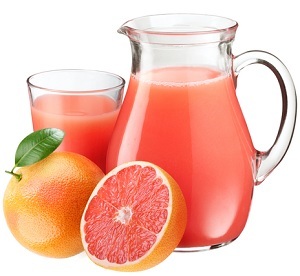 While some consumers may enjoy the froth, others would rather drink their juice without it. This juicer comes with a froth separator that allows you to have as much or as little froth as you want with your juice. The easy slide froth separator lets you decide the amount that is right for you. The list price is $249.99 but generally you can find it cheaper than that. We usually find the cheapest price on Amazon with free shipping included. Yes, Breville carries a one-year limited warranty if you need it. This juice extractor gets excellent reviews. On both Amazon and Breville websites, the average review is 4.5 out of 5 stars! The only complaints that we found anywhere on the internet was that some people had the juicer stop working after a few months. However, since there is a 1 year warranty, the juicer was replaced free of charge within a matter of days. Where Can You Buy The Breville BJE510XL Ikon 900-Watt Variable-Speed Juice Extractor? You can buy the juicer from a variety of places online, but we found the best price on Amazon especially if you figure consider that you are also getting free shipping included in the price. We found over 190 reviews from people who actually have used the product on Amazon. Click here to read them for yourself. If you are looking to be able to juice greens and wheat grass as well as root vegetables, the Omega 8005 Juicer and Nutrition Center is one of the best masticating juicers on the market today for under $400. Most commercial-grade juicers that are this reliable were a lot higher in price. If you just buy a masticating juicer based on price alone, you will probably be disappointed. Not all juicing machines have the quality and features that you need for long-lasting success with your juicer. We found out for you just how this Omega measures measured up on each of these important factors. So if you want one of the best juicers of commercial quality at home, you may want to consider this option very carefully. Omega is the only manufacturer that currently specializes in commercial-grade juicers using quality components that are durable enough to meet requirements for commercial use and approval. You know when you buy an Omega juicer that it is a name that you can trust and rely on for years to come. 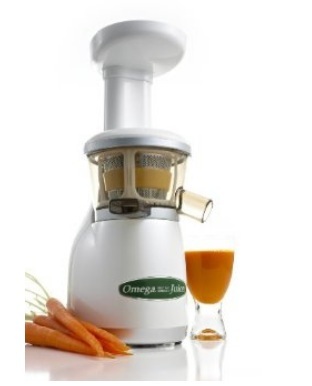 The Omega J8005 is a heavy-duty juicer built by engineers with commercial construction. This attention to detail and durability standards insure that this juicer will last for years longer than many competing brands. Low speeds increase the nutritional value of the juice by keeping the temperature low and avoiding unnecessary heat build-up. By keeping the heat from building up, there is less oxidation. This promotes healthy enzymes and longer lasting juices. 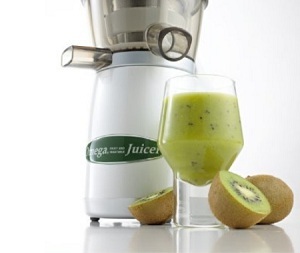 The low speed also helps to prevent clogging and foaming that are common to other juicer models. Powerful 1/3-HP single-phase induction motor easily chews up any plant fibers to extract vitamins, healthy enzymes, and minerals. Who wants to wake up and make a fresh glass of juice and listen to a really loud machine in the morning? We don’t! That is why we love that even though the motor is powerful enough to cut through some of the toughest plant fibers, it has been engineered to be an exceptionally quiet juicer. This versatile kitchen appliance is not only a commercial grade masticating juicer, it can also function as a food processor a pasta extruder, a homogenizer, and a grinder. Transform nuts into nut butter, extrude homemade pasta, grind coffee and spices, mince fresh herbs, make baby food, and soy milk and wheatgrass quickly and easily. You can even make one of our favorites…a frozen fruit sorbet! Another nice feature of this model is the automatic pulp ejection. This allows juicing to be continuous while the pulp is ejected into a handy pulp container while the machine is running. This makes juicing much quicker and more efficient. 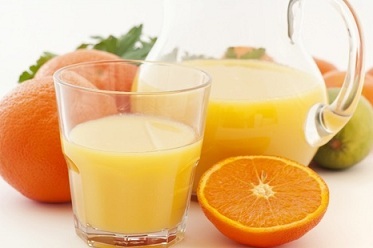 Choosing a commercial grade juicer like this has the additional advantage of high-yield. It is designed to get the most out of your fruits and vegetables so that there is more juice and less waste each time you use it. The two-stage dual juicing system is another great feature. The first stage crushes and extracts the produce while the second stage finishes by pressing and squeezing the juice. This helps makes sure that you get maximum juice and dry pulp. Who Wants to To Avoid a Mess? 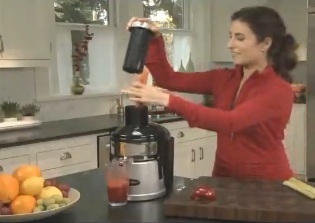 We love the built-in “reverse” mode on this juicer to prevent out produce from getting stuck and jammed in the machine. There is nothing that makes a bigger mess! Instead, this juicer can run in reverse to unclog itself easily and neatly. The list price is $340.00 but generally you can find it for less than $300.00. Generally, the most affordable price we find on this juicer is on Amazon with free shipping included. Yes, this juicer has one of the best warranties in the industry…10-years! 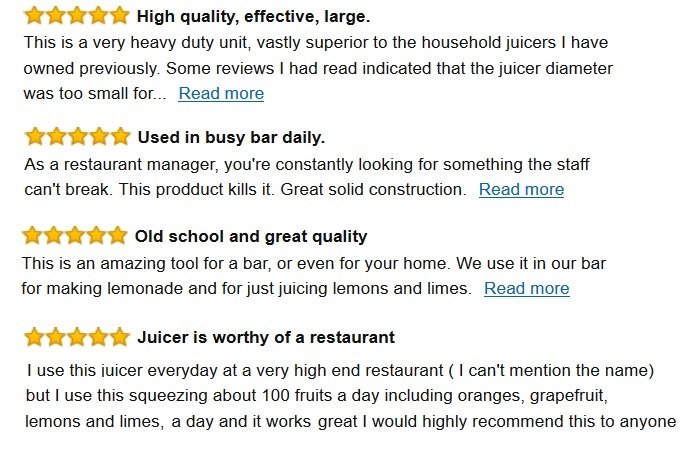 This juicer has received some excellent reviews. For example, on Amazon’s website the average review is 4.5 out of 5 stars! Some users complain that this juicer works very slowly. However, this is how it was designed. The slow speed helps to preserve the nutrient quality in the juice and makes it last longer. If the juicer would have been designed to juice faster like some other models, your juice would lose many of the nutrients that fresh juicing provides. 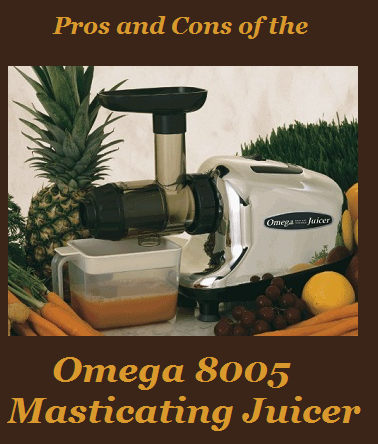 Where Can You Buy Omega J8005 Nutrition Center Masticating Juicer? While you can buy this juicer from a variety of places online, we have found that Amazon consistently has the lowest price and currently offers free shipping as well. 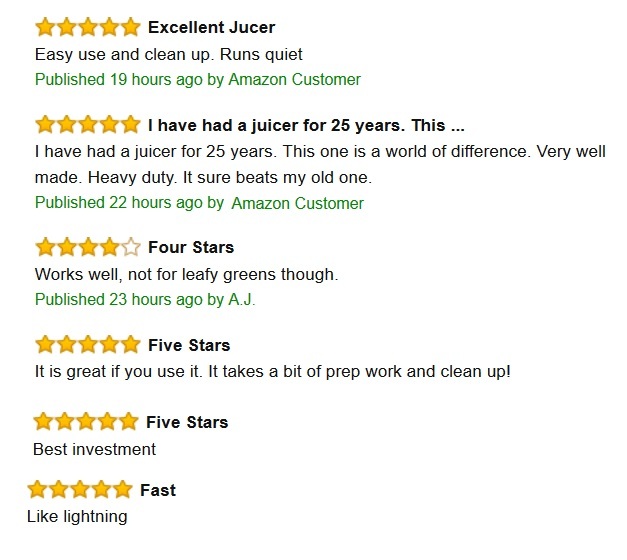 We found over 80 different reviews on Amazon from people who have used this juicer in their home. Click here to read those reviews for yourself. 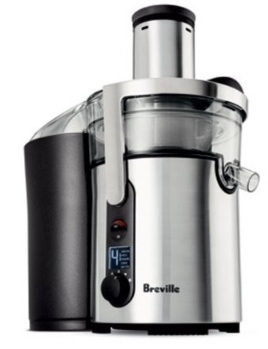 Could the Breville 800 JEXL Juice Fountain Elite be one of the best power juicers available? There are quite a few customers who believe that it is. There are a lot of benefits to bringing a juicer into your home. You can hide nutritious vegetables that your children won’t eat and create a wide variety of drinks and other foods for the entire family. 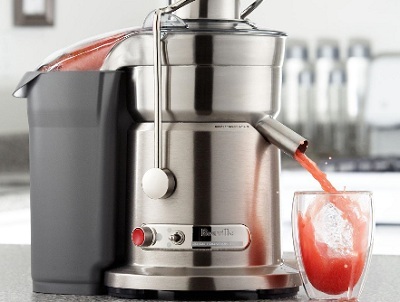 Faster and more affordable then hitting up the juice bar or smoothie shop for healthy treats, the Breville Juice Fountain Elite is the juicer for those who want the best of the best. You could call this the “know-it-all” juicer because it automatically adjusts the amount of power put out by the blades, according to the amount of fresh produce you put into the machine. If you dream of getting nutrient-packed juice and very dry pulp right in your own kitchen, the 1,000 watt Juice Fountain Elite from Breville must top your list of contenders. You can’t find a more reputable brand if you tried! Breville has been on the market since the 1930s, though they started out making radios and have cycled through a variety of changing technologies over the years. This is the brand that brought you the first sandwich maker and the very first food processor, so they obviously know what they are doing when it comes to home kitchen appliances. You will never struggle to find replacement parts for your Breville Juice Fountain Elite, which guarantees many years of high functioning use. The best juicer for your kitchen will stand out in all of these areas. Lacking in any one area will mean a lot of frustration once you actually start using it. So, how does the Breville 800 JEXL Juice Fountain Elite rank when you consider all of these areas? Let’s take an in-depth look at each point to see! While this is one of the more technologically advanced masticating juicers on the market today, it is still extremely easy to use. It is designed with a 3″ feed tube, so you won’t spend a lot of time cutting and dicing fruits and vegetables just so they fit into the machine. Smaller sized fruits and vegetables can be put in whole, which gives you the advantage of juicing up all parts of your produce for maximum nutrient content. The feed tube lines up perfectly with the cutting blades, so you can drop it in and let the machine do the work for you! 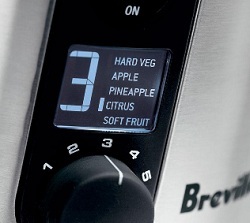 You don’t even have to worry about programming complications with the Breville Juice Fountain Elite. Switch it to low or high speed settings depending on how hard or soft your produce is, and the machine automatically estimates its load and adjusts the amount of power required. It can even juice pineapple with the rind on! Many parts on this machine are dishwasher safe, so you won’t spend more time cleaning the machine than you spent actually using it. This is actually one of the best features of the Breville Juice Fountain Elite. Thanks to its powerful 1,000 watt motor and high performing knife blades with stainless steel cutting disc, this juicer will produce up to 30% more juice than many others on the market today. Of course, that means pulp that is up to 30% drier than what other machines deliver! This is important because dry pulp means more nutrients actually went into the juice. Machines that aren’t as efficient leave more pulp to be thrown away, which means you are throwing away good produce, lots of healthy nutrients, and the money spent on your produce! The high juice yield of this machine and the dry pulp that comes out of the machine means you get maximum use from your produce and your juice will be healthier than ever. This is another area in which the Breville Juice Fountain Elite really shines in the market. The 1,000 watt motor is extremely powerful so juicing jobs are done faster without sacrificing efficiency or quality. The ability to choose between high and low settings is also a great feature because it allows you to adjust the amount of power used depending on what you are juicing. There is no need to use the full 1,000 watts of power on spinach, but you will need all of that power to make carrot juice. Flip the switch to the setting you want and you have a powerful juicer that predicts all of your needs and fulfills them perfectly. Power is important because weaker machines will struggle to crush and break down harder fruits and vegetables like carrots and apples. 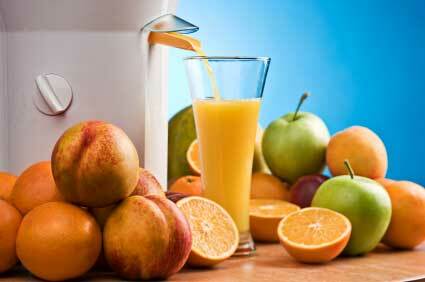 The more power your machine has the faster it is going to create juice that is nutrient-dense and extremely healthy. While all of these points are areas you have to consider before purchasing any juicer, you of course have other things pressing on your mind. One of those things is naturally price. The Juice Fountain Elite list price will cost you $399, though you can often find lower prices if you shop around online for great sales. Sometimes Amazon has it for under $300. The very experienced juicer who wrote that in her review went on to purchase the Juice Fountain Elite and found it much faster and more efficient than those high class juicers with bigger warranties. I guess you can’t have it all, can you? Where Can You Buy Breville 800 JEXL Juice Fountain Elite? We found over 400 different reviews on Amazon with an average review of 4.5 stars! Click here to read those reviews for yourself. The Omega Vert Juicer Model VRT330 should be considered by anyone interested in a masticating juicer that delivers highly nutritious juice and extremely dry pulp. Masticating juicers are known as the best on the market because they work well with fine leafy greens as well as the hardest vegetables. Many other types of juicers can’t offer that range of functionality. So, how does the Omega VRT330 juicer come out when compared with other juicers? It actually does very well, which shouldn’t be a surprise if you have read any of the glowing consumer reviews. One reviewer on Amazon went as far as to call it “the new generation of juicers.” Let’s take a closer look at the features you should be shopping for to see how this juicer measures up. A masticating juicer can crush the tiny veins in spinach and wheatgrass just as well as it cracks the firmest apples and carrots because of the type of processing the machine goes through. First the fruits and vegetables are crushed and then they are pressed firmly against a screen to squeeze out every last drop of available juice. This process applies a powerful force which expels more nutrients into the juice, while other types of juicers leave a lot in the pulp to be discarded. There are clearly benefits to purchasing a masticating juicer, but there are many competing models out there trying to give the Omega VRT330 a run for it’s money. Let’s take a closer look at all of these features to determine why they are important. More importantly, let’s see how the VRT330 Omega juicer stands up to the competition in all areas. Power is very important in a juicer because without adequate force the machine will fail to get the maximum amount of vitamins, minerals, and phyto-nutrients from your fresh produce. When you throw away more of your nutritious produce than you actually drink, you are wasting money and working against the benefits of juicing. 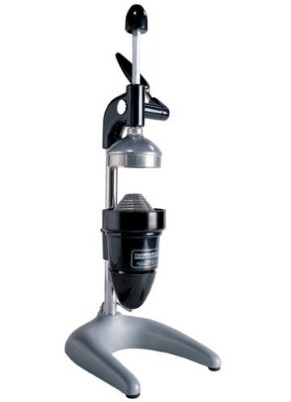 The VRT330 masticating Omega juicer has a commercial grade motor that is equivalent to 2 HP. This is a nice amountof power that will ensure your vegetables and fruits are pressed and squeezed until only very dry pulp remains. There is nothing more inconvenient than having to manually dig out the pulp from a machine cavity after you are finished juicing. Since clogging has traditionally been a problem with juicers, there are more automatic pulp expulsion machines hitting the market. 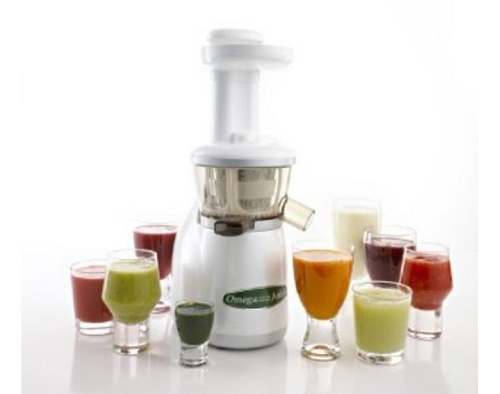 The Omega VRT330 juicer is one of them! The pulp is automatically ejected so clean up is much faster and clogging is never an issue. For most kitchen appliances speed is a good thing. You want as much speed as possible because it will get the job done faster, but this is not the case when you are shopping for a juicer. When juicers work very fast they build up heat inside the machine and in the produce being worked inside the machine. The more heat you build up, the more nutrients and enzymes you kill off! That means less nutritious goodness makes it into your juice. Not a good thing, right? Low speed masticating juicers like the Omega VRT330 are the answer to this problem. They work much slower than other types of juicers, such as centrifugal juicers, and therefore have much less heat build up in the process. This means you maintain a much higher level of nutrients in your juice. When shopping for a juicer you have to consider how much space you have to give up on your counter, or in storage areas of your kitchen if you don’t plan on using your juicer daily. 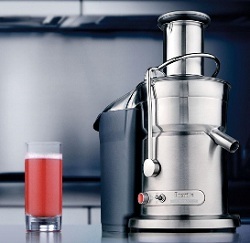 This Omega juicer is more compact than many others on the market. This is one of the areas where the VRT330 Omega juicer really stands out. Many masticating juicers force you to stop in the middle of the juicing process to clean off the screen against which the produce is being mashed. The screen fills with bits of fleshy pulp and needs cleaning to maintain the high quality of your juice. The Omega VRT330 juicer comes with automatic cleansing blades that wipe this screen clean without you stopping the juicing process. This solves the problem nicely and makes juicing at home even easier. The warranty that comes with your juicer is very important. Sometimes defects and inefficiencies in the machine take awhile to make themselves apparent, so you need a warranty that protects you for an extended period of time. 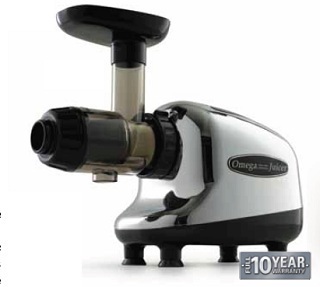 This Omega juicer comes with a full 10 year warranty, which is more than you will find with many other juicers on the market today. When you read consumer reviews of the VRT330 juicer you see that there are many happy consumers who have been using the juicer for many years with complete satisfaction. This is a high powered, effective juicer that makes juicing easy and clean up just as easy. The price is the one complaint most commonly mentioned in consumer reviews, but from time to time you will find someone complaining about the speed of the machine as well. You have to understand before making your purchase that masticating juicers are a bit slower than other types. That’s actually a benefit since it prevents the heat build up that we discussed above. 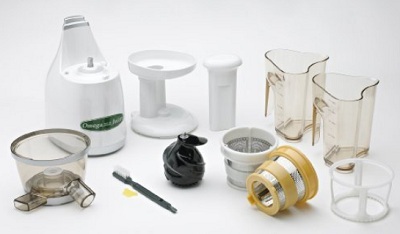 Where Can You Buy the Omega Vert Juicer? We found over 40 different reviews on Amazon with an average review of 4.5 stars! Click here to read those reviews for yourself.